Titan Comics are pleased to announce the launch of an all-new comic series, The Blacklist, based on the successful television series. Hitting stores on July 22, 2015, Issue #1 comes with two covers to collect: an original painted cover of Raymond ‘Red’ Reddington from fan-favorite artist, Alice X Zhang (Doctor Who) and a photo cover with an iconic image of Red. The Blacklist comic will also be available to read on personal digital devices. The comic series is penned by Nichole Phillips and drawn by Beni Lobel (Constantine, Batman: Arkham Unhinged) and developed in conjunction with The Blacklist TV series from Sony Pictures Television. The first arc (Issues 1-5) will feature stories which expand upon the events of the TV series and feature all the major characters from the show, including the formidable Raymond 'Red' Reddington, played by James Spader, along with characters Lizzie (Megan Boone), Donald Ressler (Diego Klattenhoff), Dembe (Hisham Tawfiq) and others. 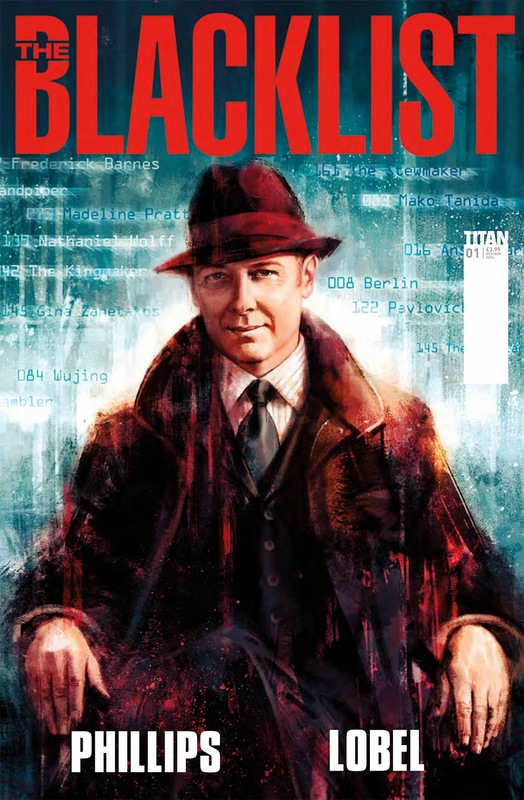 “A true extension of the television series, The Blacklist comic will take you on a journey deep into the dark world of international espionage, conspiracies, and intrigue on a global scale and explore new dimensions of the characters that have captured the audiences worldwide,” said David Leach, The Blacklist comic editor. To keep up-to-date with news about The Blacklist comic visit the Titan Comics website at Titan-Comics.com or connect with Titan Comics on Facebook, Twitter or Tumblr.